Scientist say we spend 374 days of our lives “waiting” for something we ordered. Now, the “Joyful Anticipation” tool within Mercedes me makes it possible to follow the production of your ordered Mercedes-Benz passenger car in real-time. The new service from Mercedes me at http://mercedes.me/production is a very special brand experience on a PC, tablet or smartphone. Using their personal Mercedes me account, customers in Germany can log-in and input their ordered vehicle using the order number. In addition to information about the vehicle, they receive an insight into different production stages – from production planning, body shop, painting, assembly and quality control to completion and planned delivery. In addition, interactive services such as a tailor-made Mercedes me car insurance with special terms, or vouchers with special offers. “Joyful Anticipation” consists of four areas, “Welcome”, “Your Vehicle”, “Your Production” and “Your Handover”, which are configured completely individually for the customer and vehicle. The aim is to give the customer an individual, exciting, digital brand experience even during the waiting time for the ordered vehicle. In the “Your Vehicle” section, the customer is given all the relevant information relating to the ordered vehicle. In the “Your Production” section, the customer finds out everything about the individual production stages for the ordered vehicle with real-time tracking. 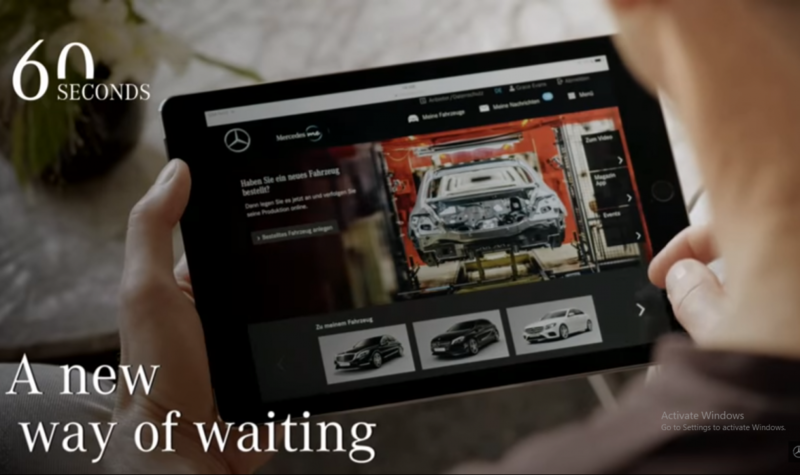 The multimedia content provides an entertaining insight into the manufacture of a Mercedes-Benz car, ranging from the production location to the production processes and the final inspection. Following vehicle completion, the customer can find out all he/she needs to know about the vehicle handover. “Joyful Anticipation” is currently only available in Germany for the following model series: A-Class, B-Class, C-Class, E-Class, S-Class, CLA, CLS, GLA, GLC, GLE, GLS, SL and SLC. “Joyful Anticipation” covers vehicles in production in the German Mercedes-Benz car plants in Sindelfingen (CLS, CLS Shooting Brake, E- and S-Class), Rastatt (A- and B-Class, GLA) and in Kecskemét (B-Class, CLA, CLA Shooting Brake) in Hungary. Shortly “Joyful Anticipation” will also become available for models from the German Mercedes-Benz plant in Bremen (C-Class Sedan, Estate, Coupé, Cabriolet; E-Class Coupé and Cabriolet, GLC, GLC Coupé, SL, SLC).